The Bisbee Community Chorus is a 501(c)(3) organization. We always appreciative of your donations. You can contribute to the mission of the chorus in a number of ways. The Bisbee Community Chorus is connected with Amazon Smile which will donate 0.5% of all purchases back to the charity of your choice. Just visit smile.amazon.com. On your first visit, you will be given the opportunity to select a charity. 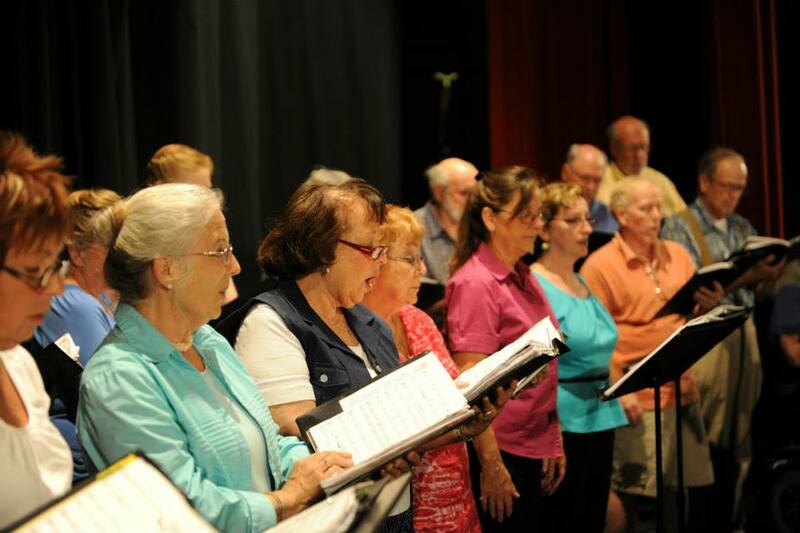 Just search for Bisbee Community Chorus. If you're an eBay seller, you can make a donation to the chorus with every sale. When listing an item, turn on the option to "Donate a portion to charity," then select the Bisbee Community Chorus and the percentage to donate. Using the Find a Charity tool, tap the heart icon to add the chorus to your Favorites list. When you donate a portion of your sales to the chorus, you'll get listing fee credits equal to the percent you are donating. For example, if you donate 20% to the chorus, you will get a 20% reduction in listing and final value fees. The chorus is a 501(c)(3) organization, so if you itemize deductions on your tax return, you're able to use the donation to reduce your taxes. Please be sure to include your mailing address so we can send a letter for tax purposes. Each season, we publish a program used at all of our concerts, including the Tucson Symphony Orchestra's event in Bisbee. Buying an ad in the program helps the chorus financially, and gives you an opportunity to reach out to the hundreds of music lovers who attend our performances every year. Ads are available in various sizes and range in price from $75 to $375, and we can help with a design that will fit your business and your budget. Contact the chorus at bisbeechorus@gmail.com for more information. You can conveniently pay for your ad by sending a check to the chorus at PO Box 5317, Bisbee, AZ 85603. Uncomfortable sending money over the internet? You can send a check to the chorus at PO Box 5317, Bisbee, AZ 85603. ​You can also make a special donation at our next concert. We are always looking for volunteers to help at performances. If you have any questions, you can always contact us at bisbeechorus@gmail.com, or visit our Facebook Page.